THE DEATH of his biggest supporter spurred Luke Van Den Heuvel to end his self-imposed 13-year water skiing exile. Now he is on the road to the world championships. The 32-year-old was rocked in 2016 when his father John suddenly passed away. When Luke first strapped himself into a set of skis as an eight-year-old, it was John who sat at the wheel of the boat for every event. "With this sport you always need a boat driver. He was in the boat with me every time I skied when I was a kid," Luke said. The pair celebrated when Luke won a Men's One National Championship in 2005 and again when he represented Australia the following year. For a decade, Luke and John proved a powerful combination on the water. That was until the sport "got a bit political" - Luke refused to elaborate further - and the talented tandem turned their backs on the skis. However, after more than a decade in the water skiing wilderness, Luke returned to the sport last year - minus his greatest ally. "He was such a huge follower of mine. Once he passed away I bought a boat, caught the bug for it and fell in love with it again," Luke said. 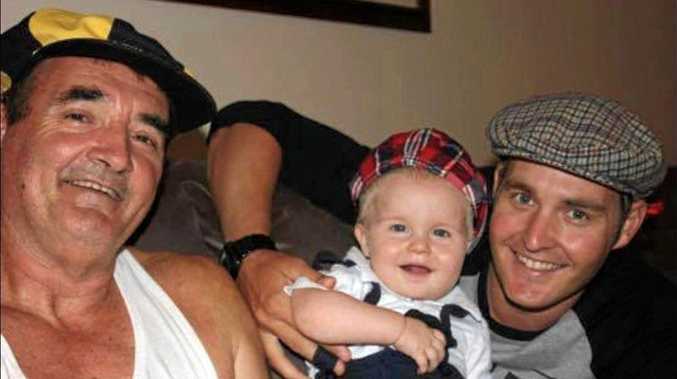 Now a father of two himself, Luke said John's death changed his perspective on life and pushed him back toward the sport in which he forged such valuable memories all those years ago. 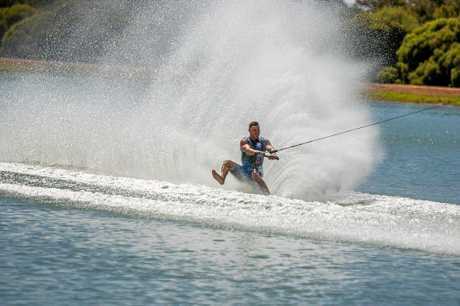 The Van Den Heuvel water skiing tradition is one he hopes to continue. That means sitting in the same seat his father did so many years ago. "I'm already doing it for them," Luke said of his transition to the boat. "It's hard to put into words. It's just a proud Dad moment I suppose." Nine-year-old Izabella is in training for her first barefoot water skiing competition; Jackson, 5, is still a few years off settling into ski bindings but is in the boat at every opportunity. In Luke, they have a good mentor. The Mackay Waterski Club president is recently returned from the Australian Barefoot Waterski Championships in Mulwala, Victoria. Competing in Open Professional Men's - a level above the Men's One division he won a national title in as a 17-year-old - Luke finished second in the Slalom and narrowly missed podium placings in the Jump and Trick events. "I did personal best scores in each event, which was unreal," he said. "Between second and fifth was only 80 overall points. "People who don't ski won't know what that means, but that is absolutely bugger-all. Competition was super tight." His standing at fifth overall was enough to confirm a place in the Australian squad for the 2020 World Championships in Sydney. The 2020 National Championships in January will be the proving ground - or more specifically water - on which Luke will solidify his claim to a green and gold berth. In the meantime, he will be hard at work on the waters of the Pioneer River in preparation. "It's a beautiful river," Luke said. "Coincidentally, it's just down the road from where I live at Marian." Luke is seeking financial support from local businesses to help fund his return to the national water skiing spotlight next year.